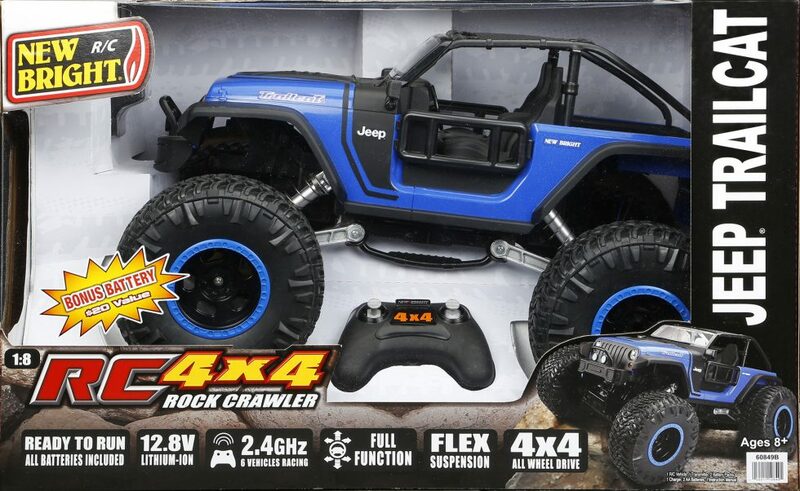 R/C 4X4 Jeep® Trailcat - Blue | New Bright Industrial Co. 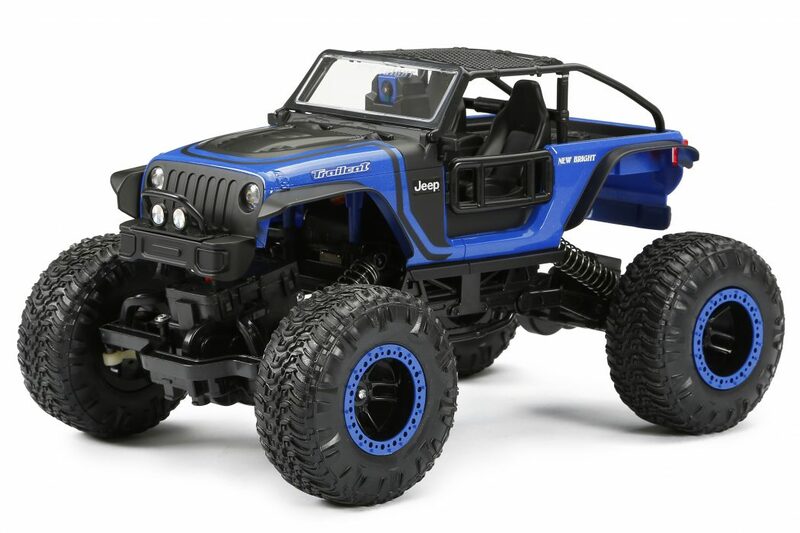 The 1:8 scale (21.5″ inches) Jeep Trailcat is a legend born to rule on and off the road. This icon has been taken to the next level with the 4×4 Flex chassis. Great for racing on the road or off-road challenges. With 12.8V Lithium power and a 2 hour charger there is no stopping you! 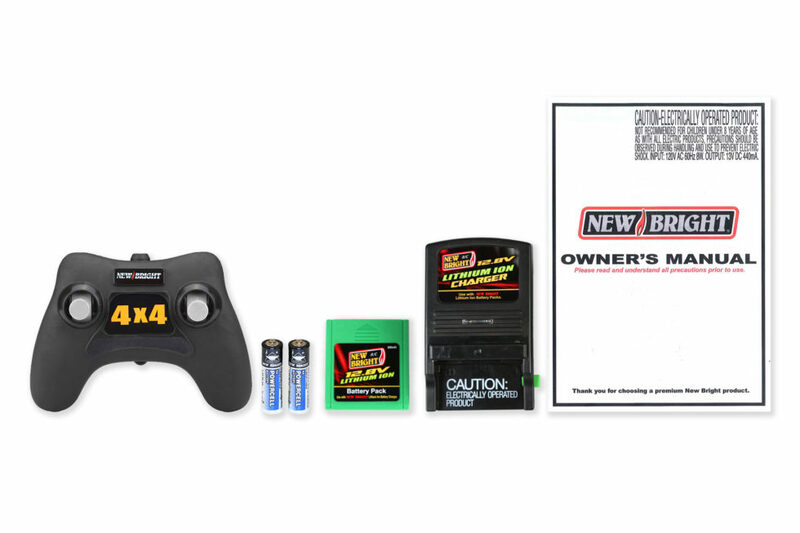 Includes all required batteries.